Let’s define clutter, identify the source, clear it out of our lives and move on with a new normal. Daily challenges walk you through the process of busting clutter for good. 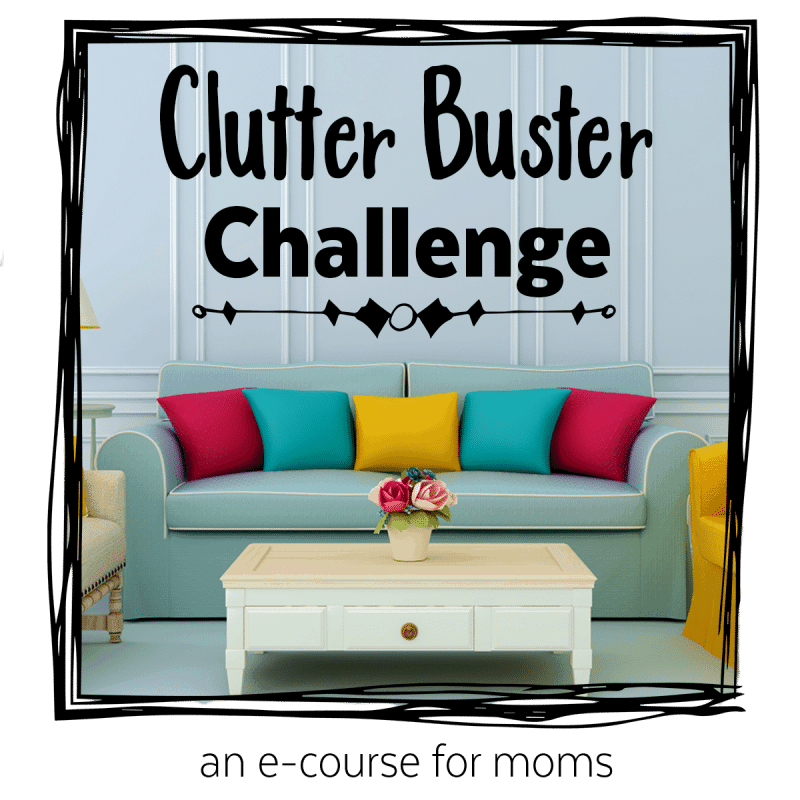 This challenge covers every area of your home where clutter might be lurking. From the kitchen to the garage – we walk you through the process step-by-step. This is the exact same process I go through every time we move (which is every three years.) I’ve lived this so many times, and this process works! This is not something that someone else wrote that I re-gurgitated — this is the process I have lived and literally just poured from my heart into the course. The first time my husband talked me into getting rid of the stuff we didn’t need before a move – I really resisted the process. It can be intimidating and painful to let go of things. Of stuff. But it is also freeing. Now I actually look forward to our next move and often go through this process in between just because I know how much it helps simplify our lives!